A New Bundle, the Aero Plains Bundle, can now be bought at GameStop for $39! Empyrea Part 2 was recently released and one area in this recent update is called the Aero Plains. Feel free to click on the Play Button below to learn more about this new bundle! My new myth wizard was able to get his hands on one of these new awesome bundles. Upon exploration of the new house, I knew it would be such a fun bundle! I redeemed the mount shortly after that and thought it was a cute mount - that reminded me of Pirate101's Cool Ranch & Easter. 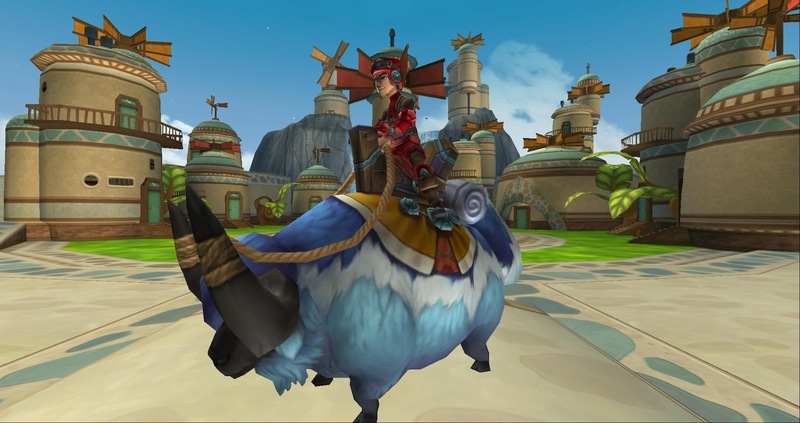 You gotta admit that the new mount is cute!